If people are looking for tangible evidence that John Fox was slowly losing his grip on the Chicago Bears over the course of his tenure, there is one stat that tells the story. In 2015, his best season as a head coach, the Bears committed a total of 99 penalties for the season. That had them ranked 4th-fewest in the league. It’s a big reason they almost looked like a playoff contender for span during the season. A year later, things began to come apart. The Bears dropped to 16th in the league, committing 110 penalties on the seasons. This past season? Yep, they fell yet again. Chicago finished 23rd in the league this time with 115 penalties. This shows evidence that Fox found it increasingly difficult to keep his team disciplined against making mistakes. People talk about schemes, personnel and the like but the truth is the first order of business for new head coach Matt Nagy is to clean up the litany of dumb mistakes that have plagued this team the past couple years. Mistakes that too often cost them big plays that might’ve led to different outcomes. Ask Tarik Cohen how he feels about this idea. The running back was electric all season in 2017, making all sorts of absurd plays. The crazy part is his stat sheet should look even gaudier than it does but several of his most impressive moments were wiped away by costly penalties from his teammates both on offense and special teams. In Tarik Cohen's rookie season, the Bears committed penalties on 13 of his plays. If not called, Cohen would have gotten 252 extra all purpose yards and a touchdown. For an idea of how debilitating this issue was, understand that the Bears were swept in the NFC North last season. If people are looking for a reason why look no further than the penalties. In six games during the year, Chicago got flagged a total of 52 times against division opponents. That works out to an average of 8.66 penalties per game. 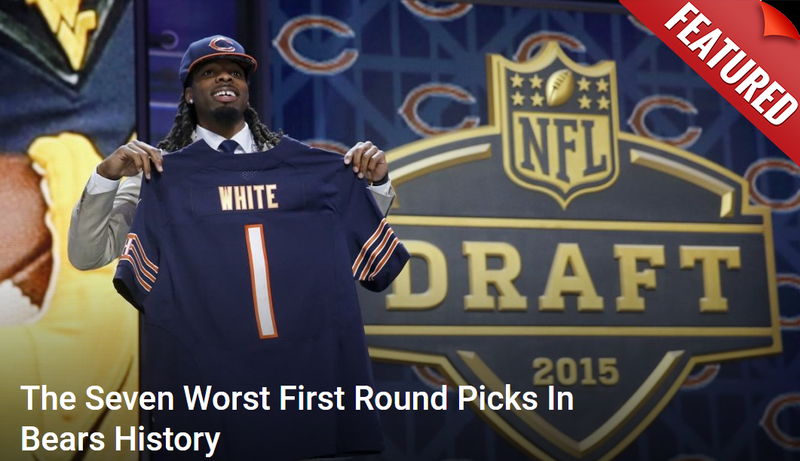 That would’ve ranked them for the second-worst rate in the entire league. It’s hard to beat good teams when you keep shooting yourselves in the foot. The good news of this situation is that Nagy may understand how to work around the problem. After all, his Kansas City Chiefs committed 126 penalties in 2017. Yet they still managed to go 10-6 with the 5th-best offense in football. This means, unlike Fox, he has multiple solutions to a problem. Not committing the penalties is a top priority, but in the event they come he’ll be able to get production out of his players anyway.